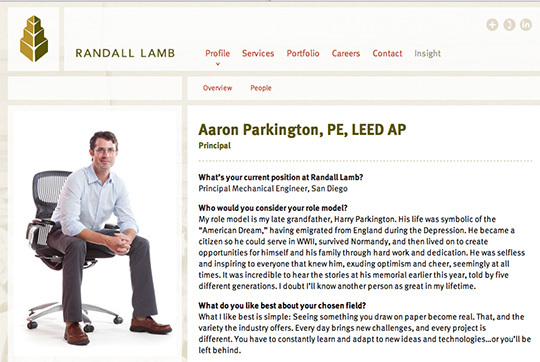 Should We Include A People Section In Our AEC Firm Website? Having a “People” section on your website is essential. People do business with people they know. So it continues to surprise me that there is any question about including your people on your website. AEC marketing is built on relationships. While client prospects can have a relationship with your brand, this best occurs after an introduction by your people. 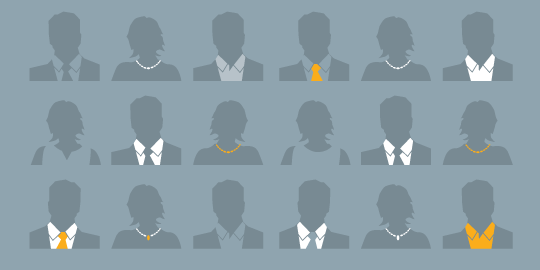 In this digital age, prospects want a human connection before considering hiring your firm. Including People on your website inspirers a lot of questions. In this post, I’ll answer those I’m asked most frequently. Who should we include in our People section? Those in your firm with client contact. Typically this means Project Managers and above, plus everyone in Marketing and Business Development. What if these people leave our firm? Then you take them off your website using your content management system. This is trickier if you have group photos. If the group photo is of 4 or more people, and one of them leaves, then keep the photo. After all, the person leaving did work at the firm at the time of the photo. Won’t our competitors steal our best employees? Your competitors already know who your best employees are. Seeing your staff on your website isn’t going to make them any more desirable. Your employees are already on LinkedIn. They should also be visible in the industry by developing relationships. Keeping employees off your website to prevent them from leaving the firm is a myth. Trying to hide staff from competitive predatory poaching does more harm than good. Should we include people’s photos? Yes. Human beings like to look people in the eyes to get to know them. Adding a face to a biography makes that person real, more authentic and approachable when a prospective client sees that person at a networking event. Nobody expects your staff to be supermodels, so don’t worry about people being them photogenic enough. Corporate headshot or casual friday photos? Both. Provide several photos to communicate a person’s diversity. Ultimately, photo style depends on the culture of your firm. Or even more importantly, the culture of your target clients. If a photo is a thousand words, then video is 10,000. Video is a powerful way to communicate what someone will be like to work with. It provides a great opportunity to tell that person’s story. Not everyone is comfortable speaking on camera like Ron Burgundy. But there are other options. Try voice-over with project photos or favorite things combined as a slideshow. Stalwart PR, cleverly used video of employees talking about the strengths of their co-workers. Think video testimonial, but instead of coming from a client (which isn’t bad either), the praise comes from co-workers. Should we include a bio? I prefer a short introduction to the person with the ability to “Read More” or download a PDF Bio. The download can be helpful for teaming scenarios. Simply listing a person’s achievements like a resume is dull. I recommend a story with more of a narrative arc to make an emotional connection. Another technique I’ve used effectively is an interview format like you’d see in a magazine. You include custom questions per person, and feature their best answers (as seen below in the Randall Lamb site we designed). What should we call this section? Call it something consistent with the culture of your firm. You can be clever, but not cryptic. It should be easy for visitors to find this section as part of your top-level navigation. I’ve seen this section titled as People, Team, Staff, Leaders, About Us (I’d reserve this title for about the firm), Leadership, Talent, Management, etc. Having a People section on your website is another great tool for prospects to get to know, like, and trust your people, and thus, your firm.